When I was getting ready and putting on my makeup on Saturday and put on YouTube on the background to catch up on my subscriptions. 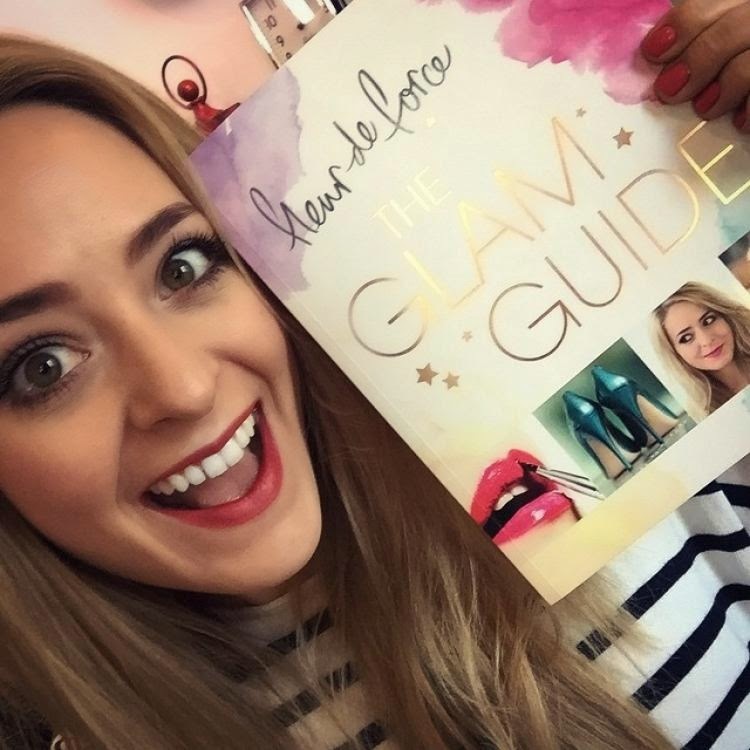 I found out that Fleur de Force is launching her book The Glam Guide. It seems that YouTubers nowadays have been busy writing books – from The Pointless Blog’s The Pointless Book, Zoella’s Girl Online, Tanya Burr’s Love, Tanya (wait she has a book too?!!) and now Fleur de Force’s The Glam Guide. So I looked it up on the Internet and read more about it. You see I haven’t been watching YouTube lately so I am quite behind with what’s happening with the popular gurus’ world. The book is like a manual, a girl’s guide to be glamorous. Basically everything Fleur preaches on her channel in written form. Whilst researching this online, I found that Tanya Burr also released a book almost the same time as Fleur’s and both about beauty. I find Tanya’s book title Love, Tanya too similar for my liking to the movie Love, Rosie. But that’s just my opinion. I am sure both books are filled with tips on how to be fabulous! I found Fleur’s The Glam Guide on feelunique and Amazon and Tanya’s Love, Tanya is on Amazon. I yet have to see and read for myself the contents of the books to be able to compare the two. What do you think about YouTubers launching books? Have you read any of the books, and if yes, how do you find them? I love both girls, but I want to buy the book by Zoe. Yep, seems like many Youtubers are coming out with books these days. I personally am not a fan of any however, if Lisa Eldridge ever comes out with a book, I will be one of the first to purchase it. Now she is a real beauty guru! I absolutely agree with you Shireen. Hands down to Lisa Eldridge. I would like to read both!!! The Glam Guide sounds good, I will have to check that out. Great post! I love Zoe's book as it's a novel, I am sure Tanya and Fleurs books are lovely, but I'm in no rush to buy them. Great post. I dunno, I don't think I will buy the books. I am so happy for their success and I can imagine that it must be really exciting. But whenever famous people bring out products with their names I am very reluctant to buy it. There are some girls that follow these youtubers religiously and too an extent I feel that they are exploiting them and it usually is quite young girls who doesn't even earn their own money. But maybe that's just the way I was brought up. My mother always discouraged our yearnings after "brand name" clothes which was Billabong and Quicksilver in those days lol.